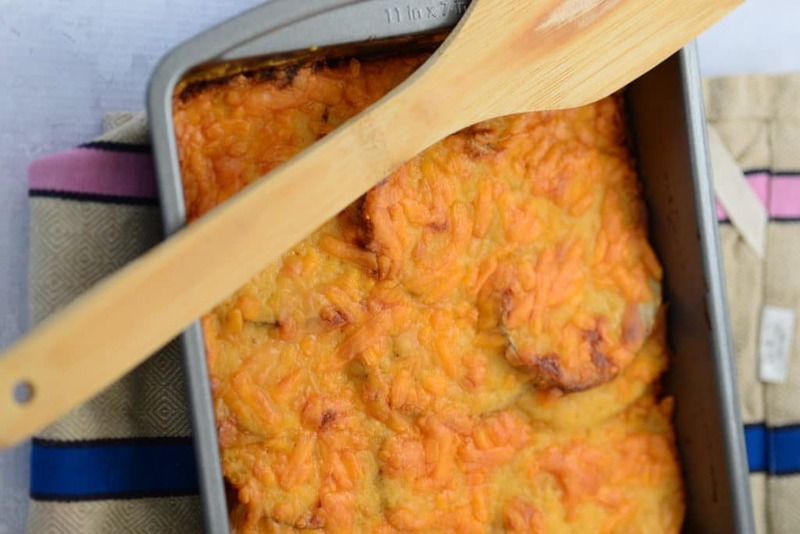 Love scalloped potatoes? 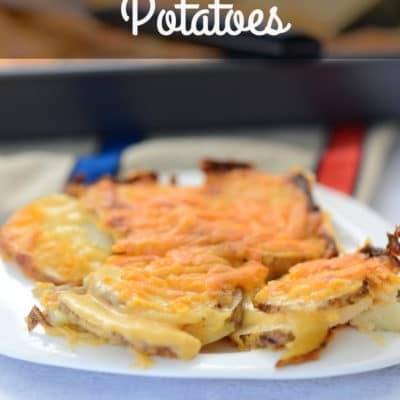 Looking for an easy scalloped potatoes recipe? 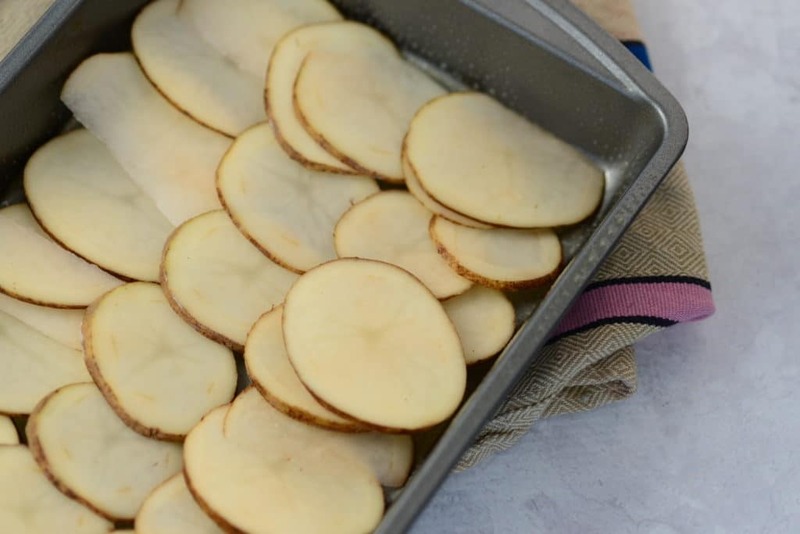 This is the best and easiest recipe for scalloped potatoes you will ever need. Scalloped potatoes have everything you could want in comfort food. The potatoes are cooked in a creamy white sauce made from milk and butter. It is all topped with cheese. If this doesn’t scream down-home comfort food, I don’t know what will. 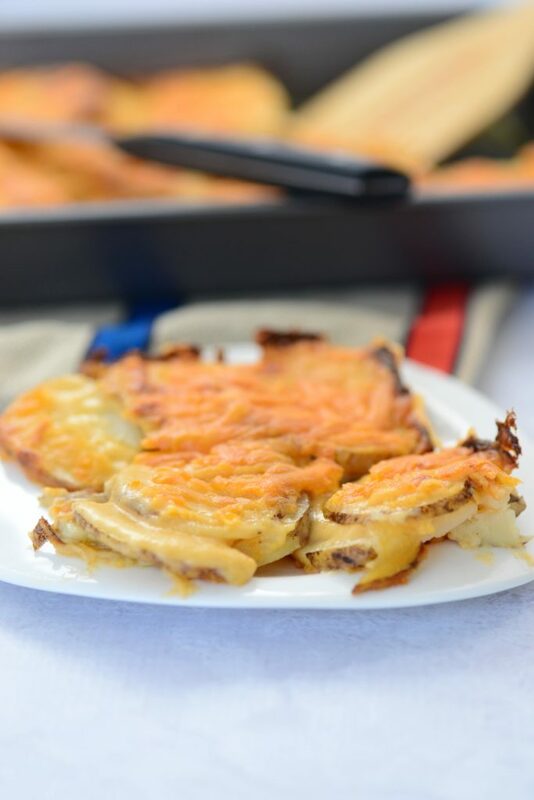 Easy scalloped potatoes are a great dish to bring to a pot luck or to have for a family get together. It is like a potato casserole of sorts. The sauce gets inside the potatoes and it has a fantastic taste. What is the Difference Between Augratin Potatoes and Easy Scalloped Potatoes? 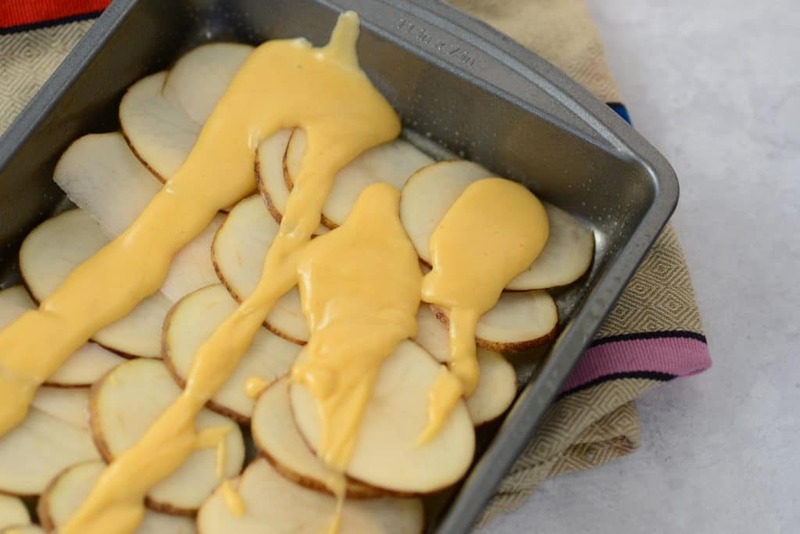 Scalloped Potatoes are thinly cut potatoes that are cooked in a creamy sauce. 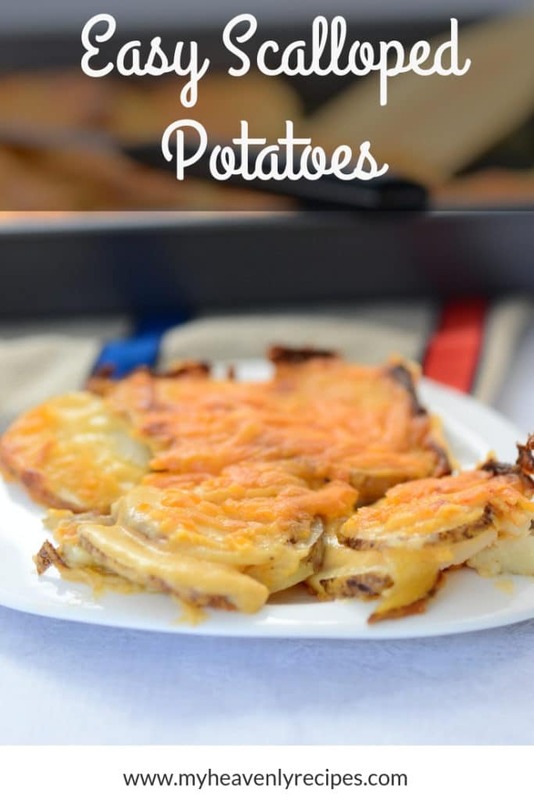 The scalloped potatoes can have cheese or not. 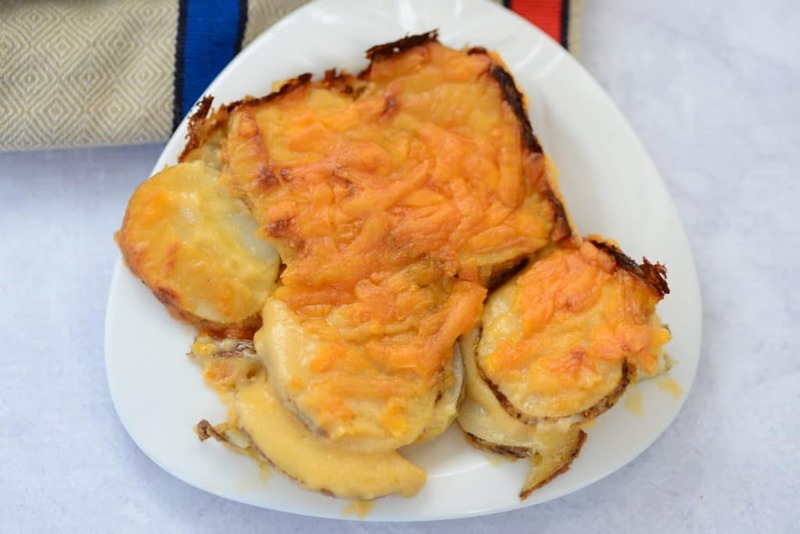 Most people think that if there is cheese is has to be au gratin potatoes. Augratin potatoes usually have cheese, but what it difference than scalloped potatoes is that augratin has a crispy topping. This topping can be made with cheese or breadcrumbs. So the basic difference between scalloped potatoes and augratin is the breadcrumb topping. 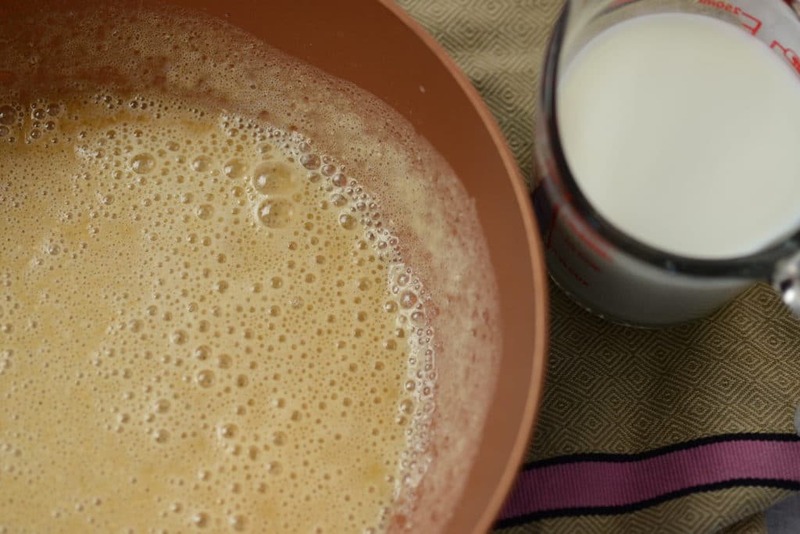 Cream– While this dish is filling and delicious as is, you could use cream or half and half to add a richer taste. Garlic– Another addition to easy scalloped potatoes would be garlic. You can use garlic powder or fresh garlic. Once you see how easy it is to make scalloped potatoes from scratch, you will never want to use a boxed potato again. There is a big difference in taste and quality when you make scalloped potatoes from scratch. 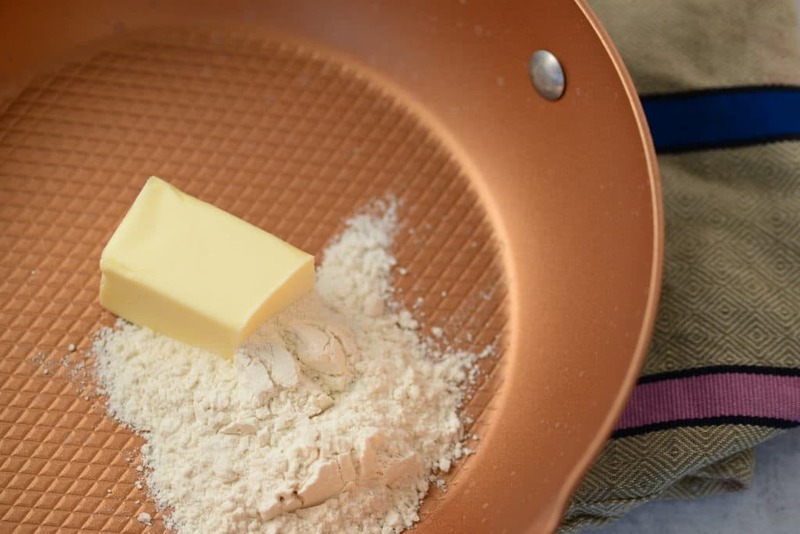 1 In a small saucepan, melt butter and blend in flour. 7 Place half of the sliced potatoes in a lightly greased one-quart casserole dish. 8 Pour half of the cheese sauce over potatoes. 9 Repeat with the second layer of potatoes and cheese sauce.